The Totally Wicked Titan product line is available in 18mg (1.8% nicotine), 11mg (1.1% nicotine), and 6mg (0.6% nicotine). What happened to Totally Wicked? Totally Wicked USA shut down its online and brick & mortar operations in the United States in April of 2019, though they continue to manufacture their incredible lines of e-liquid and quality hardware. Electric Tobacconist jumped at the opportunity to partner with Totally Wicked USA and strive to give Totally Wicked's loyal customers the same amount of attention, care, and experience they are accustomed to. As Totally Wicked's exclusive US retailer, we will continue to carry a variety of Totally Wicked liquids from the Patriot, Titan, and Red Label ranges, as well as Totally Wicked hardware. This is the first product from ET that I was really disappointed in. I bought three of the American red tobacco, one of cigar and one of something else. Red and Cigar flavor were pretty awful. The other flavor is still in its box and I’m not looking forward to trying it. I’m not blaming ET, these flavors and this brand are not to my liking. More than anything else, they tasted stale. Have used American Red since 2012. Are you going to carry the 20ml bottles? 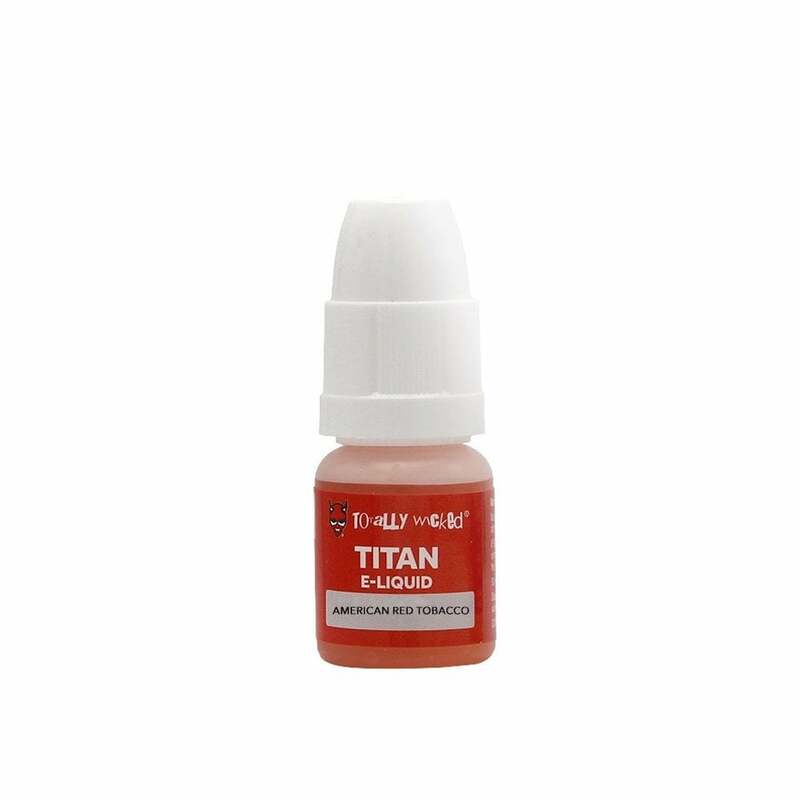 Please start carrying the Titan Brand - American Red Tobacco - (11mg) in the 20ml bottle. I have been a customer of Totally Wicked and order this brand and size for years and would like to continue to order the larger bottle. Thank you! !